Come explore our various healing techniques. Acupuncture is a common healing choice for those suffering from: Pain, Insomnia, Stress, Anxiety, Digestive disorders, Allergies, Respiratory illness, Menopausal symptoms and so much more! Cupping is the use of suction on specific areas of the body. Cupping in combination with acupuncture can enhance treatments for sprains, strains and more. 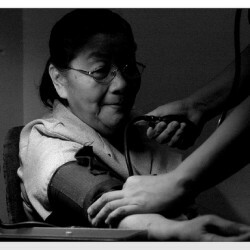 Prescribe Chinese Herbal Formulas for the natural approach to medications. Come in today to start feeling better naturally! Moxabustion is a heat therapy applied to acupuncture points to warm our energy pathways, known as “meridians.” It can even prevent illness and strengthen health. Helping patients in regards to pain management, headaches, allergies, hypertension, digestive disorders, stress or anxiety, sensory disturbances, and more. 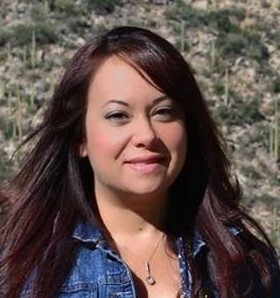 Maurianne received her Masters degree in Acupuncture and Oriental Medicine in 2011 from the Arizona School of Acupuncture and Oriental Medicine in Tucson, Arizona. Maurianne has always had a predisposition for helping others throughout her life and she has dedicated much of her professional career to the healthcare field. Maurianne continuously and effectively strives to bring her patients the best quality in Chinese medical healthcare available. Maurianne Montes is the absolute best. I went to her for allergies and she even prescribed this ancient chinese medicine that worked great. Maurianne is a very gentle and caring person. Please give her a try for any pain or illness that comes your way. Thank you Maurianne! Best acupuncturist in Tucson. She’s outstanding! Been going to acupuncture for about a year, started treatment for migraines, stress and anxiety and it has totally transformed my life! I am truly grateful to Maurianne for helping me heal and get relief through acupuncture, cupping and massages. Totally recommend her, you WON’T REGRET IT! Maurianne is amazing – I have been going to see her for a couple years. I had pain in my feet so bad that I could hardly walk but after several treatments with Maurianne the pain was completely gone. I have referred friends to her and all have had positive experiences! On Valentines day this year I was diagnosed with benign positional vertigo. It was the worst thing I had ever experienced!!! The world would spin, my eyes couldn’t focus and it made me want to vomit. A friend at work suggested acupuncture. I had never been or had any interest in going but I was so miserable that I decided to give it a try. I went to see Maurianne and I am so glad that I did. After my first visit the horrible headache that I had for two weeks vanished, two of my vertigo postions went away and my tinnitus actually became quieter. Four repairs for one visit-that is amazing!!! I am so greatful to her for giving me back my life! I immediately made an appointment for a second visit and I cant wait to go again! She is thorough, kind and obviously knows what she is doing. I was functioning at about 40% wellness, after one visit I jumped to about 75%. I am confident that after my next visit I will up to 100% again. I’ve been seeing Maurianne Montes for about 2 years now and my husband has been seeing her for about 1 year….we are both very pleased with the pain management through her acupuncture techniques. Maurianne has given me great relief for lower back pain and osteoarthritis pain of both knees. My foot pain from Morton’s Pneuroma which bothered me for many years was 90% instantly relieved after one …acupuncture session. I have also had facial acupuncture which has rejuvenated my face remarkably awakening the collagen that goes dormant as we age, I get so many compliments, I’ve been told I look 10 to 15 years younger than I am and I have Maurianne to thank for this! In addition to the facial treatments I haven’t had any problems with seasonal sinus infections nor sleepless nights due to sinus issues. I recommend Maurianne to all my friends and everyone I hear complaining about any pain. Maurianne is awesome, I feel so much better since I’ve been seeing her and my energy is balanced. Thanks Maurianne for taking such good care of me! 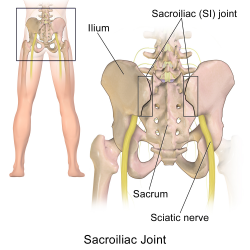 Do You Need Relief from Your Sciatica? 2015. Mountain Oasis Acupuncture. All Rights Reserved.